Ahead of its official launch at the Paris Motor Show this week, Toyota has announced that prices for its new Auris will start at £14,495. That gets you the entry 1.33 VVT-i engine while the cheapest diesel is the 1.4 D-4D priced at £15,845. There will also be a Hybrid model from launch. The British-built hatchback goes on sale in December and there will be four trim levels - Active, Icon, Sport and Excel. 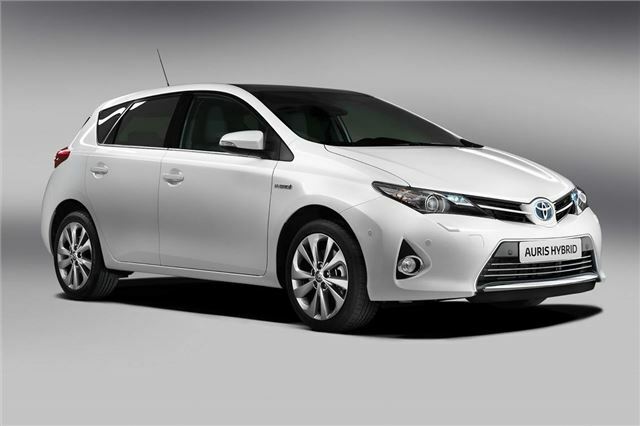 The engine range includes the 1.33 Dual VVT-i and 1.6 Valvematic petrols and 1.4 D-4D diesels along with the Auris Hybrid. The petrol and diesel models all use a six-speed manual transmission, with the Multidrive CVT automatice available as an option on the 1.6 Valvematic. The Hybrid has a special E-CVT automatic. The Icon trim gets 16-inch alloy wheels (15-inch for Auris Hybrid), DAB radio, Bluetooth, a rear-view camera, electric front and rear windows, a leather steering wheel and gear lever and front fog lights. Sport models add 17-inch alloy wheels (16-inch for 1.4 D-4D model), sports front seats, a sports grille, a rear diffuser and rear privacy glass. The top Excel model comes with black velour seats with leather bolsters, dual-zone climate control, Smart Entry and Start, cruise control (not available on 1.4 D-4D model), rain-sensing wipers, automatic lights, electric folding door mirrors, heated front seats and driver’s seat lumbar support. Excel models also come with a new park assist system. It will steer the Auris into a parallel parking space using ultrasonic sensors to work out whether the space is big enough. All the driver has to do it control the accelerator and brakes. It will then also help manouevre out of the space. The system is more advanced than previous Toyota equivalents and can now park on bends plus it takes into account anything on the other side of the road that might hinder parking.